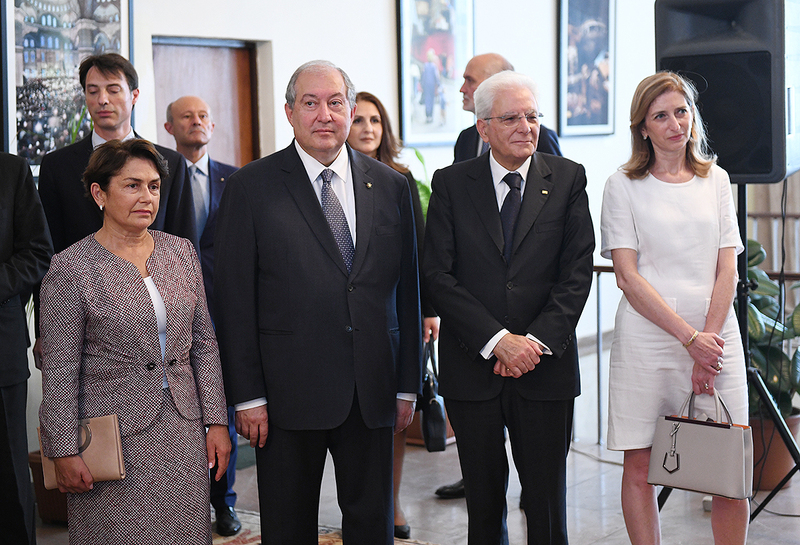 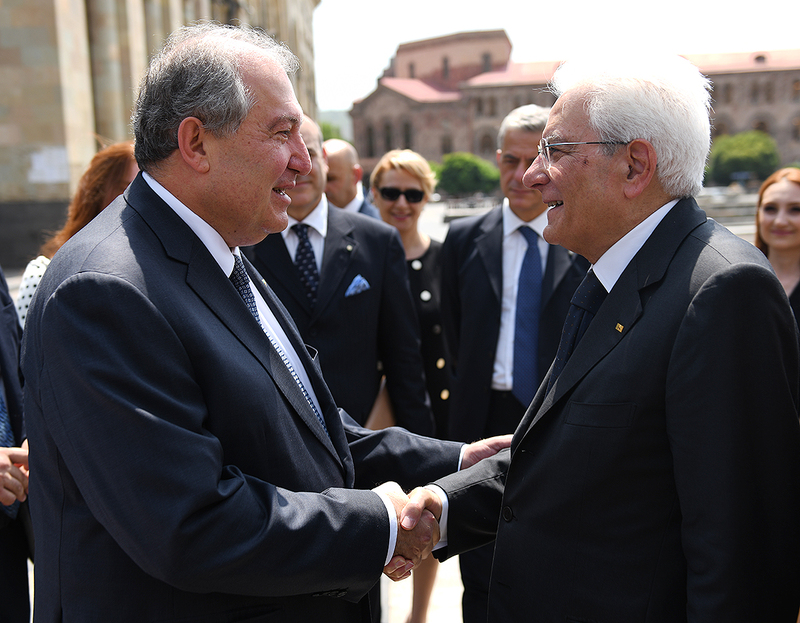 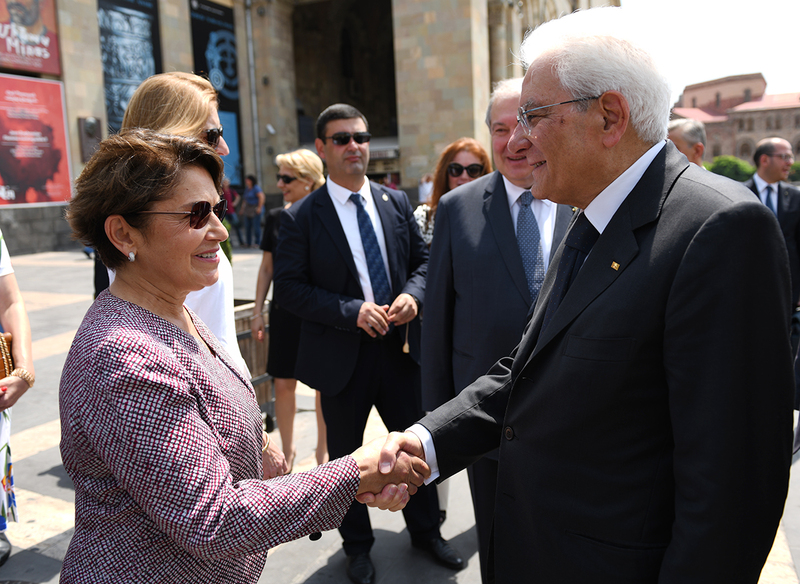 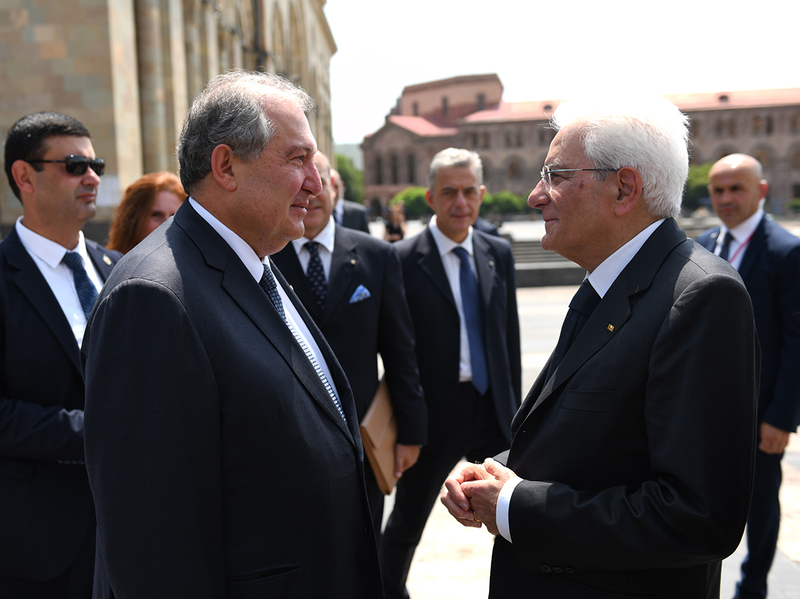 President of Italy Sergio Mattarella, who is in Armenia on a state visit, and Ms. Laura Mattarella together with President Armen Sarkissian and Mrs. Nouneh Sarkissian today, at the National Gallery of Armenia were present at the opening ceremony of the Armenian-Italian Regional Center for Protection and Restoration of Cultural Heritage. 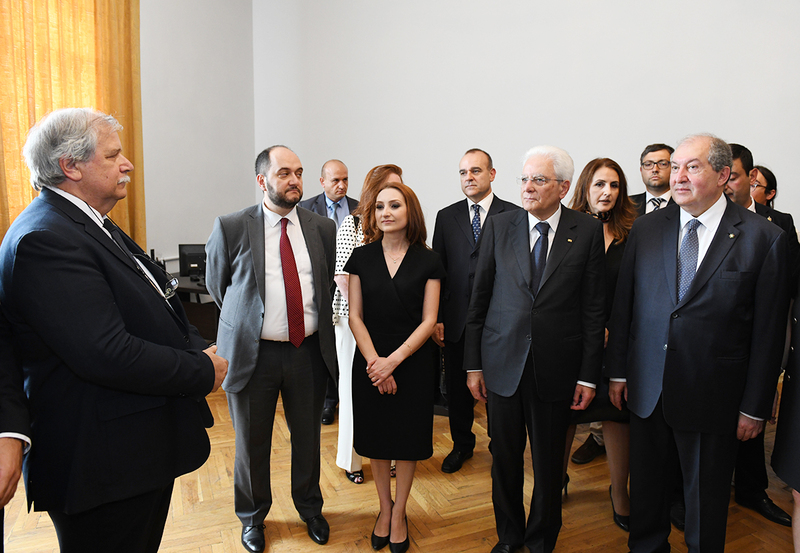 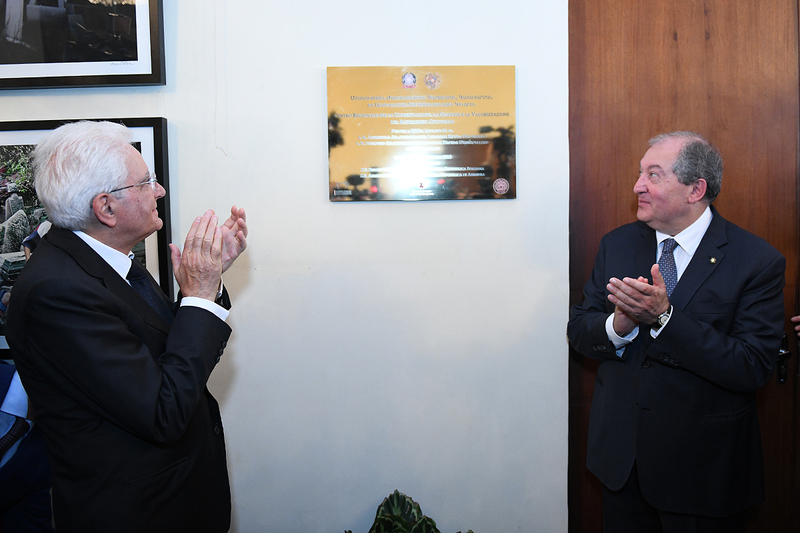 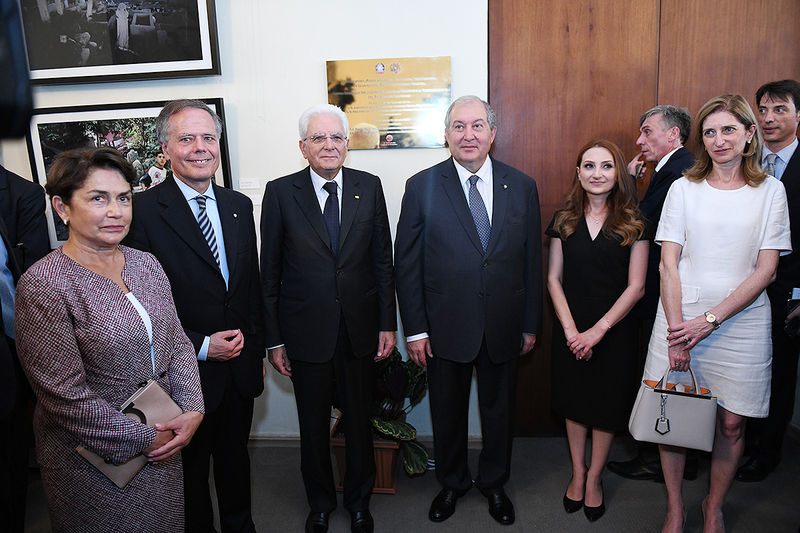 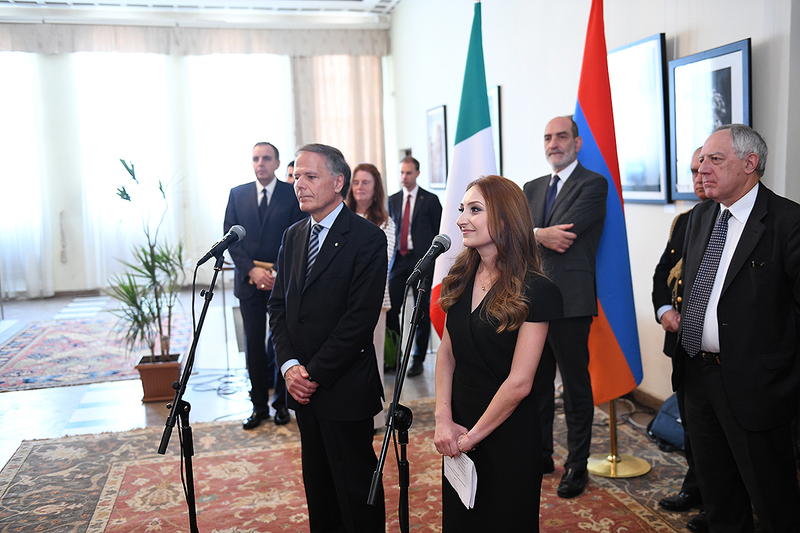 The Minister of Culture of Armenia Lilit Makunts and Minister of Foreign Affairs and International Cooperation of Italy Enzo Moavero Milanesi made opening remarks, after which the Presidents of the two countries unveiled the plaque and toured the premise. 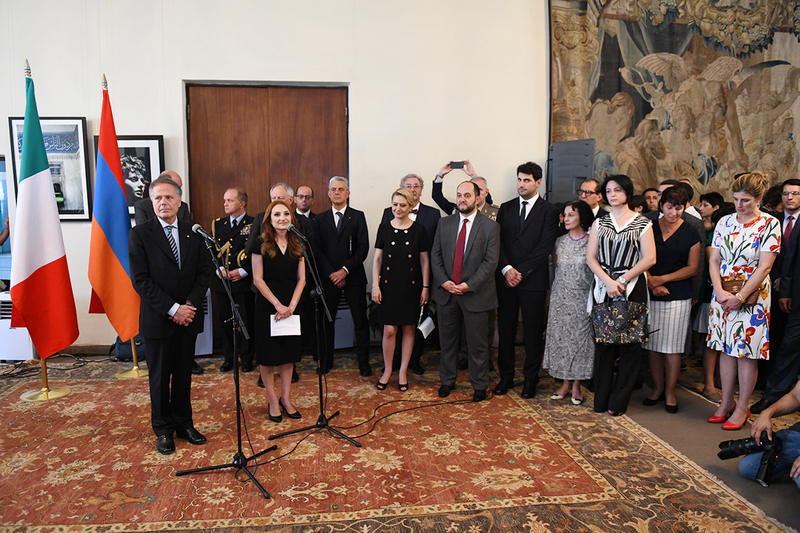 The Center was established through the joint initiative of the Armenian and Italian sides and is aimed at the implementation of different programs, including regional ones, dealing with the preservation and restoration of cultural heritage.